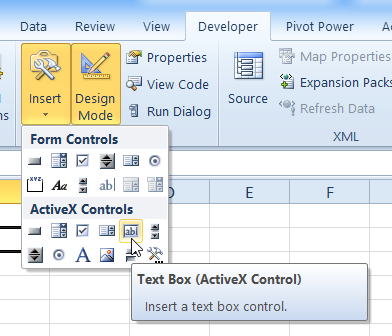 In an Excel worksheet, you can add text boxes from the ActiveX Controls toolbox on the Ribbon's Developer tab. 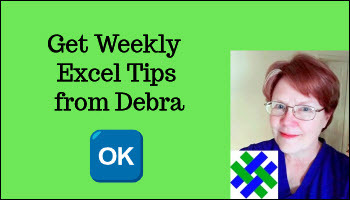 The text box can be linked to a worksheet cell. On the worksheet, draw a rectangle with the Text Box tool, to create the Text Box. With the Text Box selected on the worksheet, click the Properties command on the Ribbon's Developer tab. 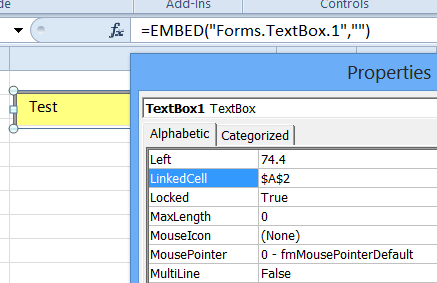 In the Properties window, set the properties that you want for the text box, such as Linked Cell. On the Ribbon's Developer tab, click the Design Mode setting, to turn it off. In the Text Box, enter text, and it will appear in the linked cell. Instead of manually adding an ActiveX Text Box to the worksheet, you can add one with programming. 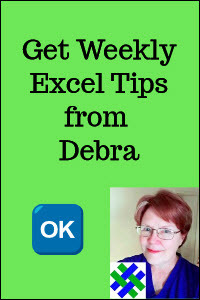 In the following macro, a text box is added on sheet 2, and formatted, and linked to cell A2 on the worksheet.